Win PREMIUM Samsung Smartphone and Tablet Accessories! All you need to do is LIKE & PM Aerophone Cebu your desired Accessory! Winning is so easy! 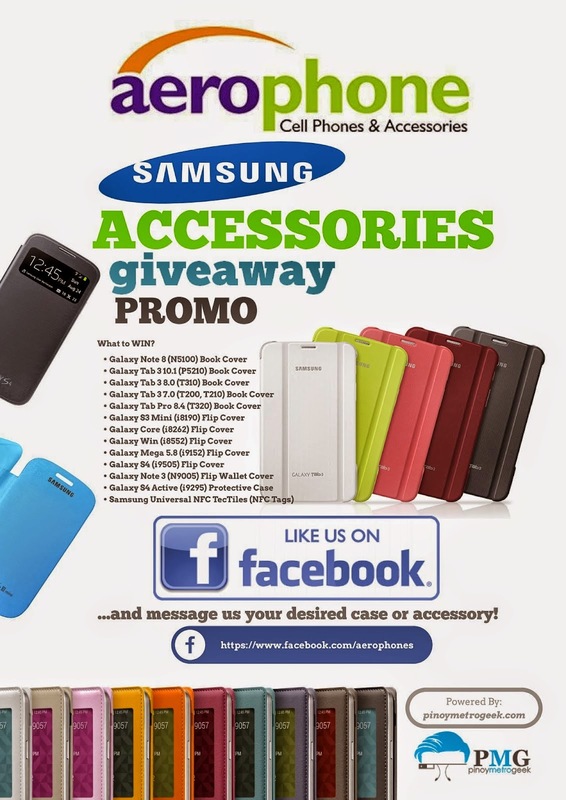 Our Samsung smartphone and tablet accessories giveaway from Aerophone Cebu is now on its fourth week! For those of you who hasn’t joined yet, this is your chance to win premium Samsung accessories! And just like what we’ve been doing in the past, we have made winning very easy for you! How to WIN Samsung smartphone and tablet accessories? You can also refer to our step-by-step procedure on how to win. Step 3: Tell them what accessory you want to have. Winning is very easy! Our Samsung smartphone and tablet accessories giveaway is powered by Aerophone Cebu. Hundreds of accessories are at stake so join now!